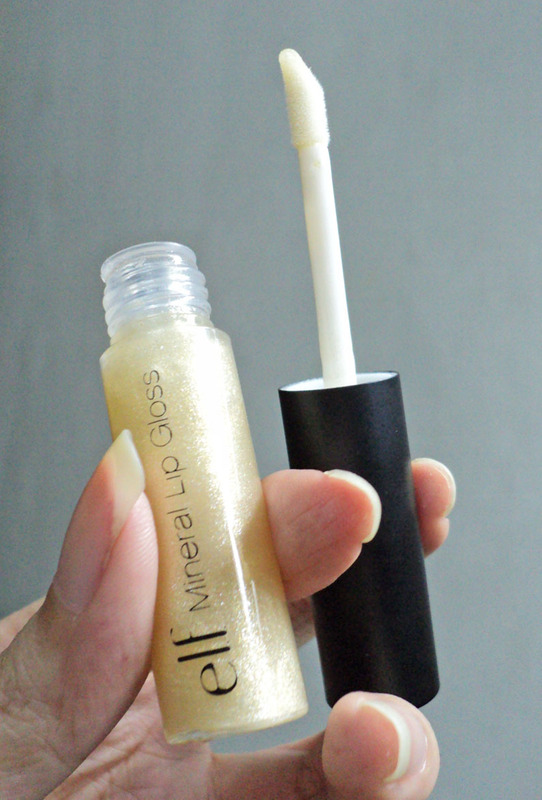 I have a soft spot for lipglosses with shimmer/sparkles in them. So when I saw the Elf Mineral Lipglosses, I just had to have them! They come in a nice little white box. Plain but who cares about the box anyway? It says 'No parabens, no preservatives, no dyes'. Btw, my latest one is Trophy Wife. Somehow the sticker says Twilight.. The packaging is really nice, IMO. Doesn't look cheap at all! It has the usual doe foot applicator. I didn't take a photo of the opening but it's small enough so each time you take out the applicator, the product doesn't stick to the white part of the stick so it's less messy. 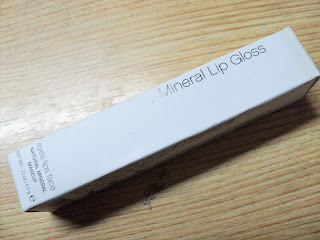 I have lipglosses that will leak out because after a few times, the gloss accumulates below the cap and it 'overflows'. It's so good that I had difficulty closing it back as the pressure inside kept pushing the wand up. So far I have three of them. Sorority Girl - Dark pink colour. This was the thickest and most sticky. Also, it looked like it had less product than the rest. Trophy Wife - Golden yellow but the yellow doesn't really show up, don't worry. Quite fluid and easy to apply. Au Naturale - Orangey-beige like colour? Again, colour doesn't really show up as orange but it's just what the name says. Natural yet with a nice shine. 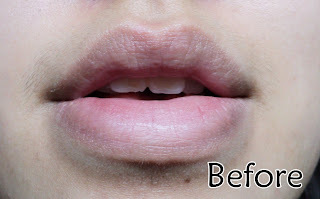 Now on to the on-lip swatches! 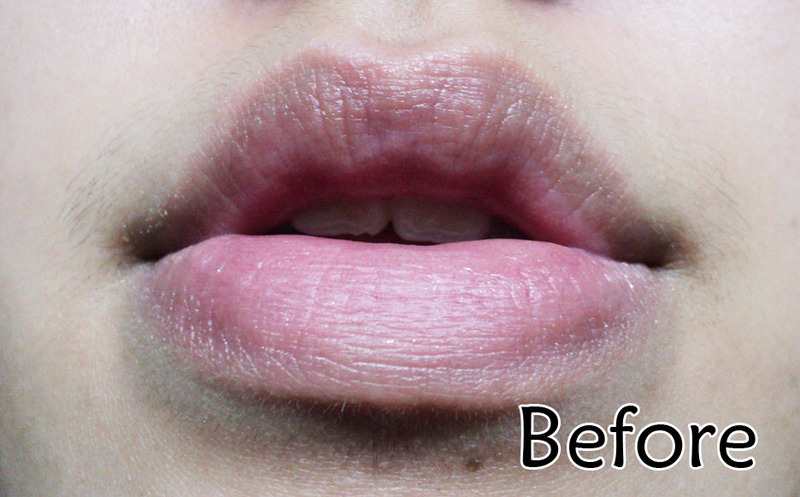 I have different 'before' pics for each one as after I wipe away the previous one, my lips turn a little redder. I know you can't really see the difference in them but they offer just a hint of colour. 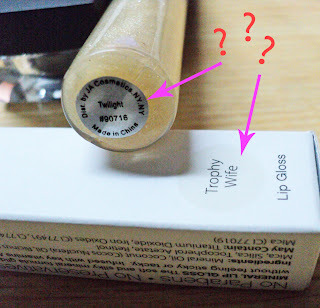 Trophy Wife is the lightest and Sorority Girl the most pigmented. With Trophy Wife, it isn't yellow but you can see a sort of yellow shine while for Au Naturale, it's an orangey shine. Sorority Girls just shows up as a pretty pink. If you want a lighter pink, you can opt for Pageant Princess instead. These are a little sticky compared to NYX Round Lip Glosses but this means they also last longer. 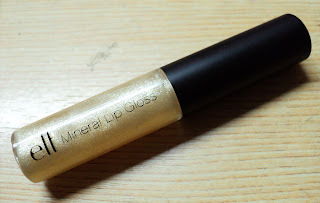 Unlike most lip glosses with shimmer, it doesn't leave an ugly layer of dried up glitters. Instead, you will see fine glitters on your lips that are just sitting there. Of course, reapplication is needed after eating. I don't think any lip gloss would survive that. 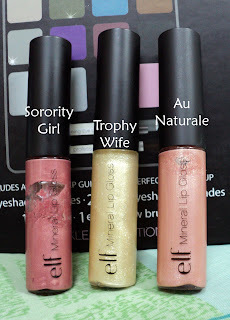 They're small and the packaging looks good and tough (I wouldn't dare to bring some glosses out in case they burst) so I can chuck them into my bag for reapplication. 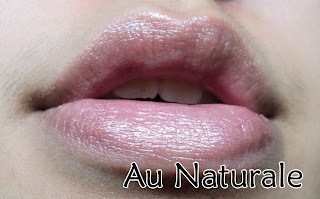 This gloss doesn't dry out my lips nor settle into my lip lines, making them look dry and horrid. 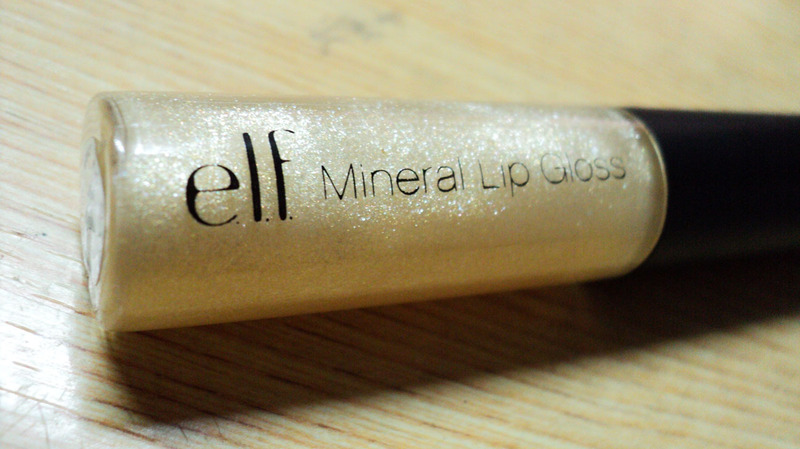 It gives a very glossy finish with fine shimmer and lasts quite a while without eating or drinking. It's not disgustingly sticky unlike the Elf $1 Super Glossy Lip Shine Spf 15. Many people like those but I just find them really sticky to the point that my hair will stick on my lips when there's wind. The scent is okay, like a sweet candy smell. 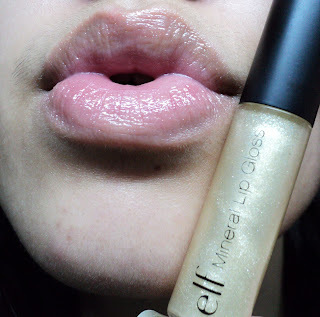 Not overwhelming like the Elf Hypershine Glosses, which I couldn't even make myself use after catching a whiff of the extremely sweet smell. There are 11 shades to choose from but a lot of them will end up looking similar on your lips as they are not really pigmented. So try not to purchase colours that look quite near. 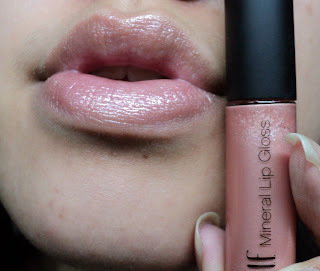 Label say : The soft and silky mineral formula glides onto lips to create a luscious shine without feeling sticky or tacky. Infused with key vitamins A & E to protect and moisturize your lips. My conclusion : From the list of pros & cons above, you can already tell that I like these lip glosses very much. Would definitely purchase more colours in the future.